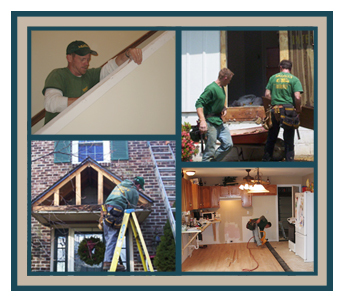 McGinty Home Improvements, Inc. is a small family owned and operated, quality conscious company. We are fully insured, and have very competitive prices. All work is owner supervised at all times. The products and materials we use are of the best quality and are backed with written warranties. We also guarantee our workmanship for a period of ten years. We supply a certificate of insurance for general liability and worker’s compensation upon request. We work with local building authorities from start to completion of a project. If you have any questions about any project or any part of our web site please do not hesitate to contact us using the link above. We look forward to helping you with your next home improvement project.